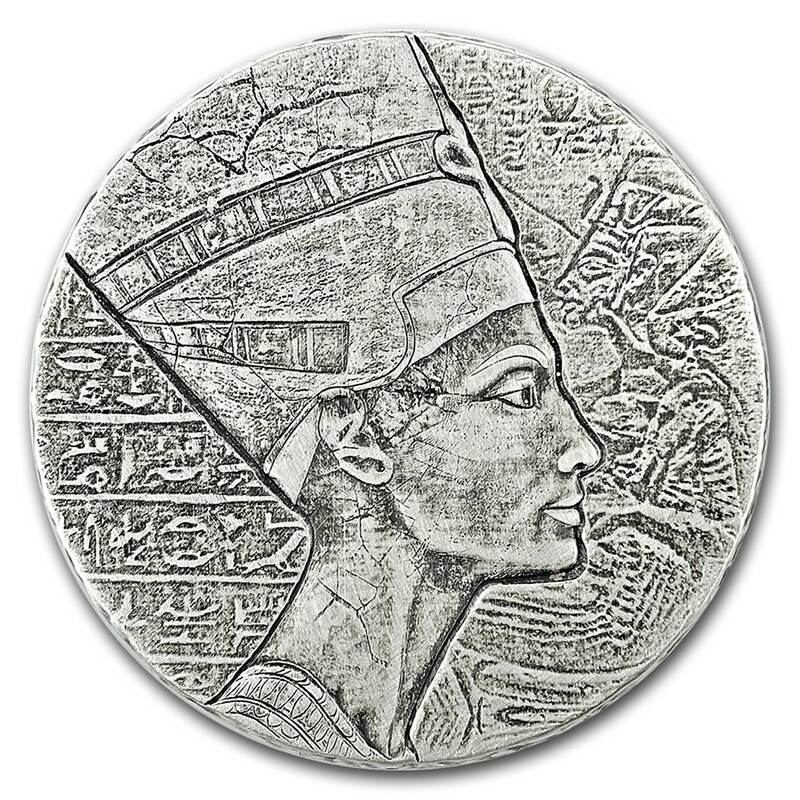 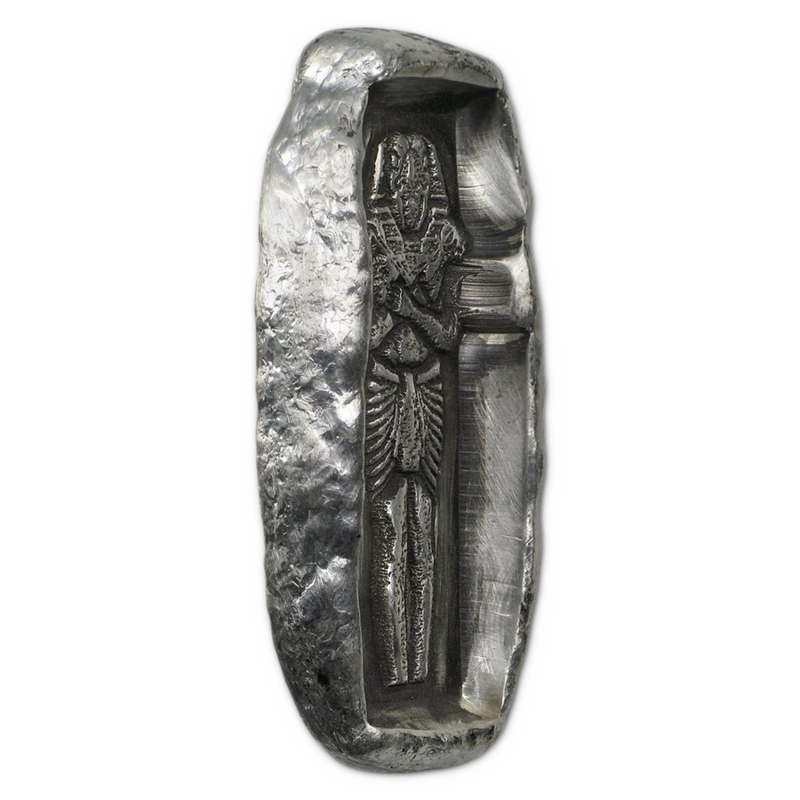 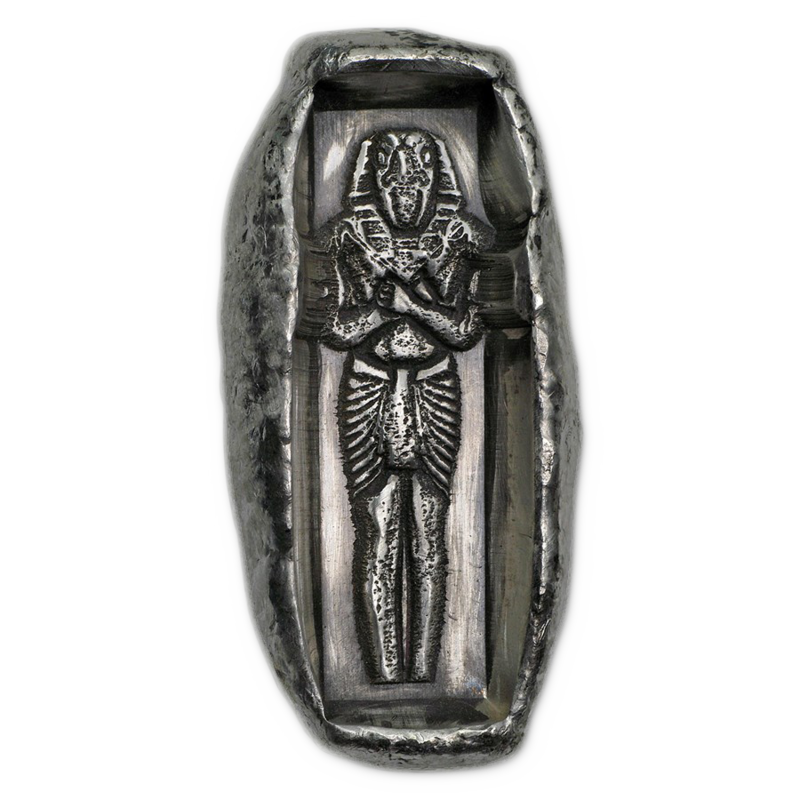 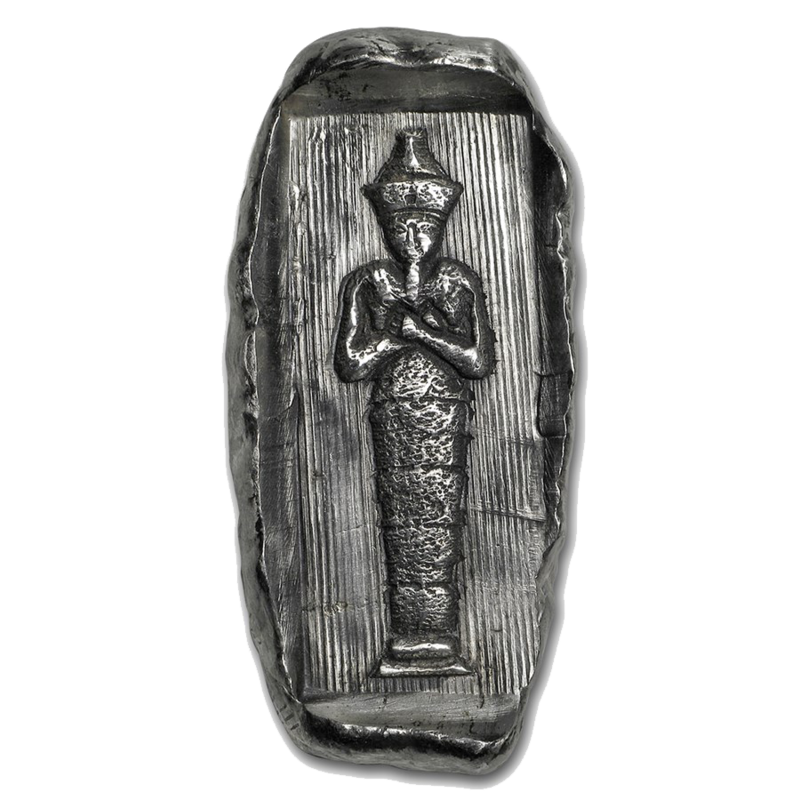 The Egyptian Tomb Horus Relic 2oz Hand-Poured Silver Bar is the third in the Egyptian Tomb series. 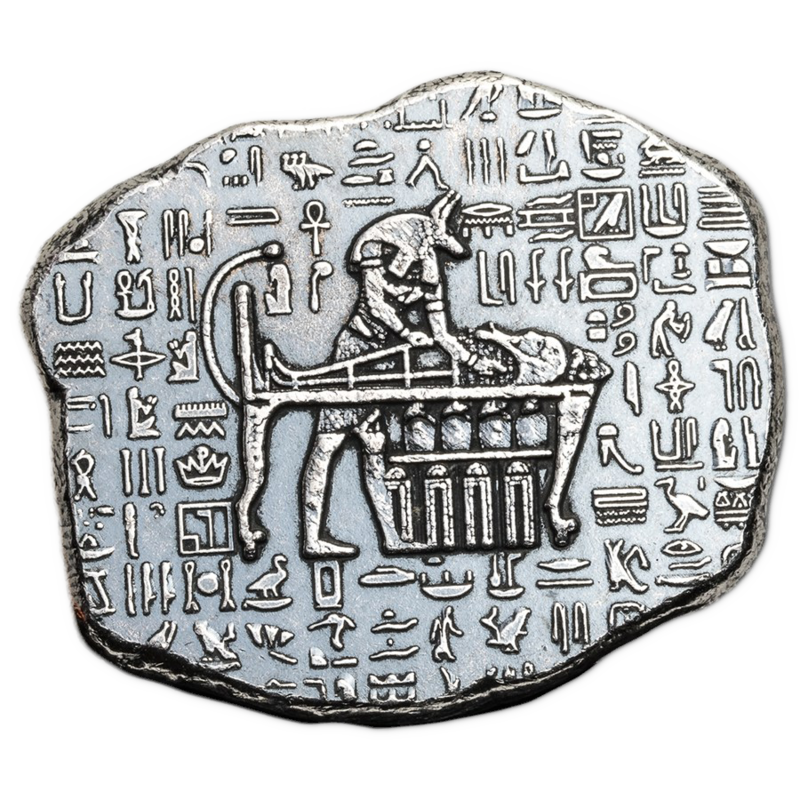 This bar features on its obverse the Egyptian God Horus resting in a tomb stamped deep into the metal creating a very authentic feel to the bar. 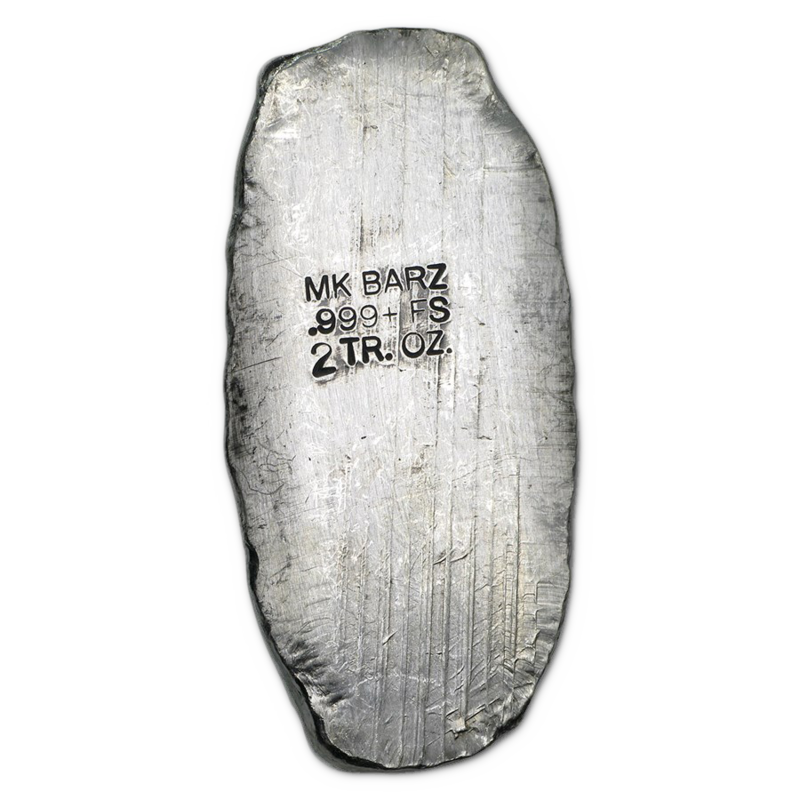 The reverse features the weight and fineness stamped onto the rough surface of the bar. 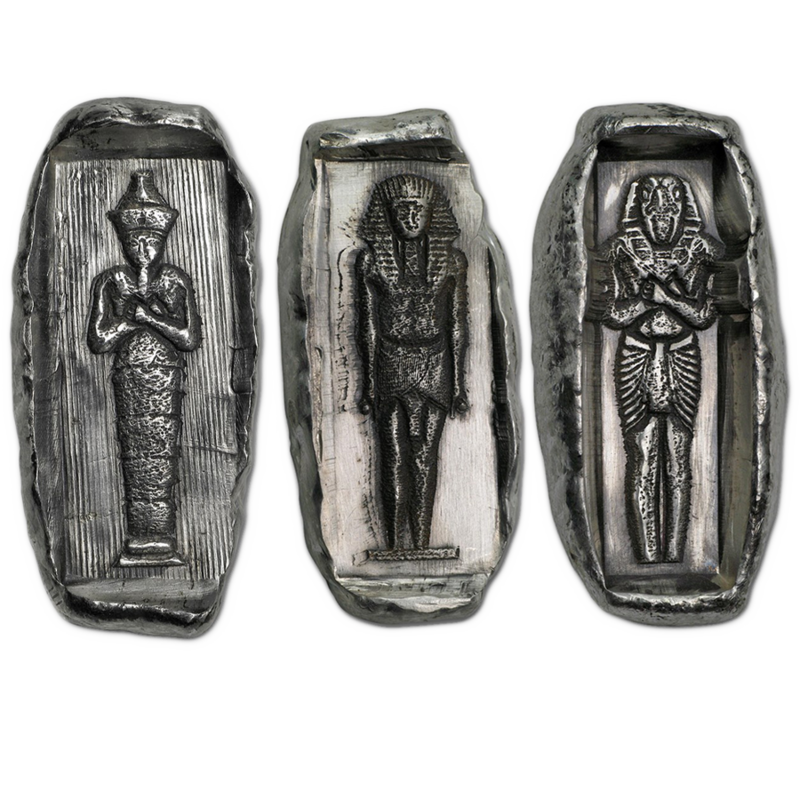 Each bar is 2 Troy Ounce of 999.0 silver. 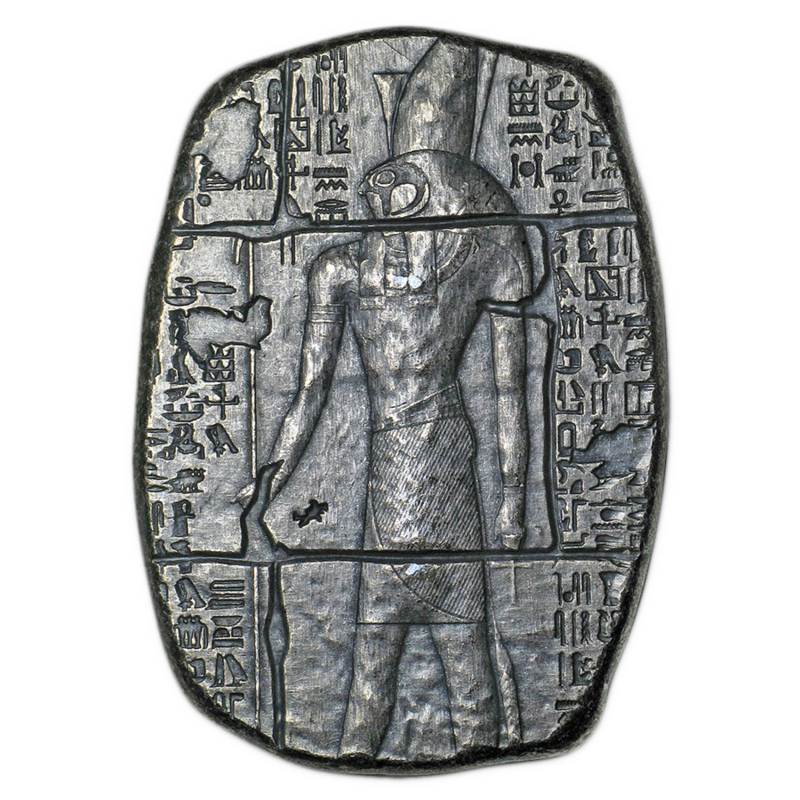 The ancient god Horus was worshiped since prehistoric/predynastic Egypt until the Ptolemaic Kingdom and Roman Egypt. 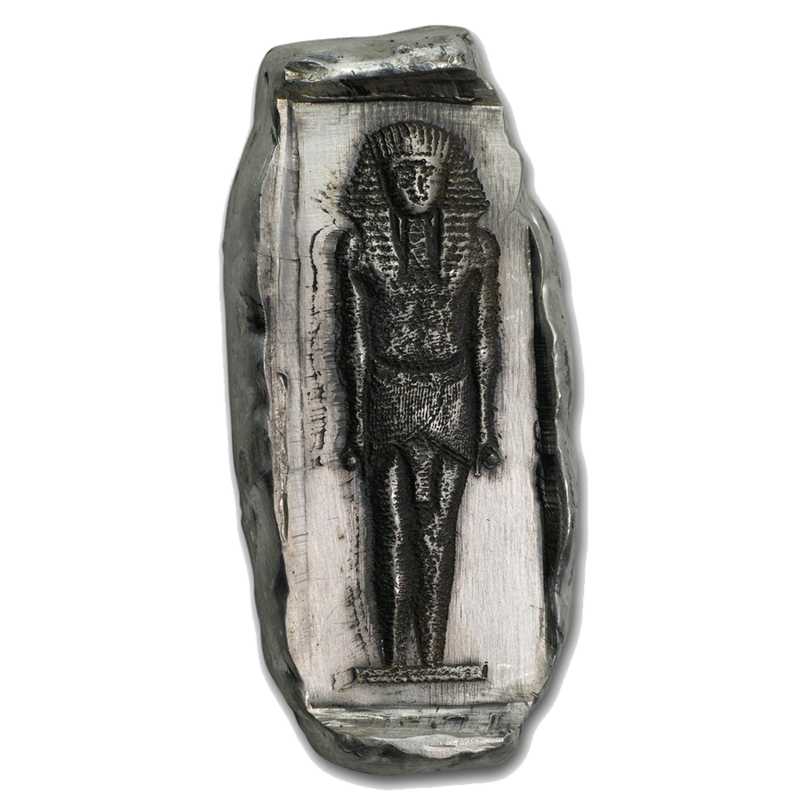 In dynastic Egypt the pharaoh was believed to be the living embodiment of Horus.